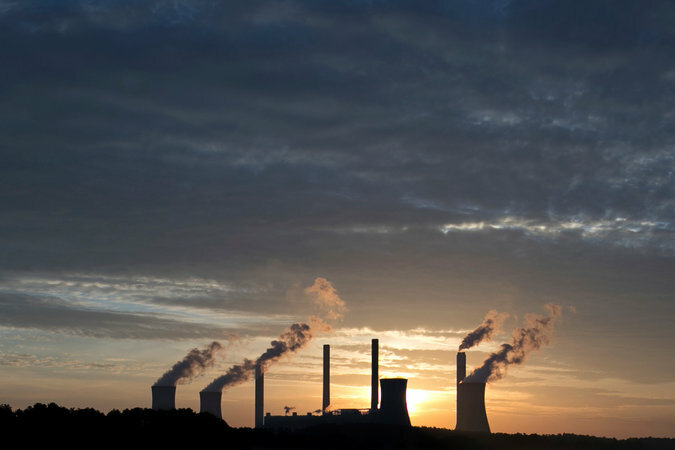 A coal-fired plant in Juliette, Ga. Mr. Macron tried hard to bring Mr. Trump around on climate change, but the American president withdrew from the Paris climate accord. 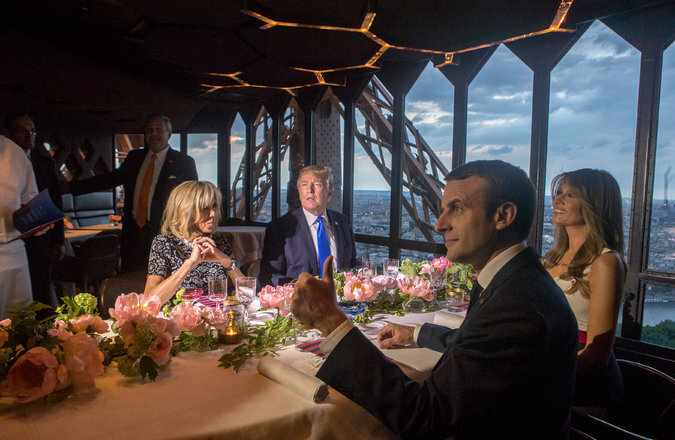 Mr. Macron took Mr. Trump and his wife to dinner in July at a formal restaurant in the Eiffel Tower, a canny recognition of Mr. Trump’s attraction to glitz. “Emmanuel Macron doesn’t risk being unpopular for trying to get things from Donald Trump and trying to negotiate with him,” said Mr. Guenolé. “The problem would come if, like Tony Blair, he tried to get things by developing a strong relationship with the U.S. president, but afterward got too little,” said Mr. Guenolé, referring to the former British prime minister who allied himself with President George W. Bush’s decision to remove Saddam Hussein and found himself and his country mired in a yearslong war in Iraq. Mr. Guenolé, Ms. Nardon and other analysts say that Mr. Macron is taking advantage of the vacuum left in Europe by Prime Minister Theresa May’s preoccupation with how to get Britain out of the European Union and Chancellor Angela Merkel’s focus on maintaining an unwieldy coalition in Germany.